To see the full gallery of pictures of Sheba Medical Center, Tel HaShomer, please click here! 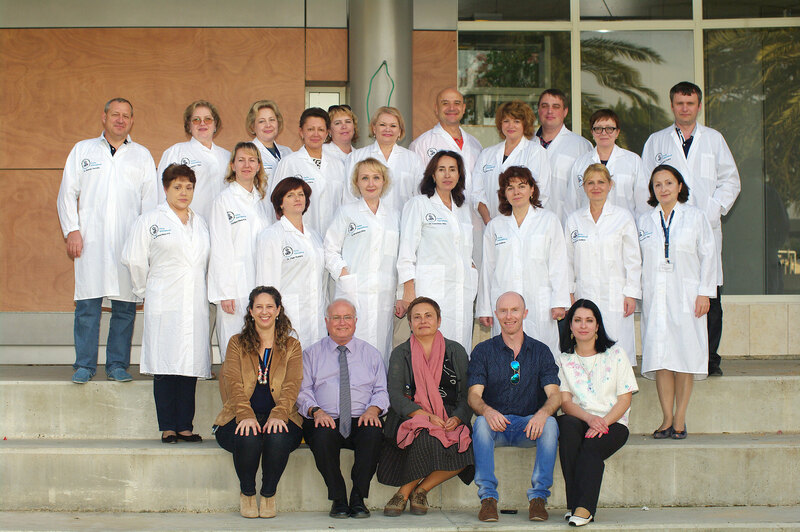 The Center for International Projects and Training Abroad was established at the Sheba Medical Center, Tel Hashomer, in 2010 following requests from physicians from all over the world to study and train at the hospital, as Sheba is the leading Medical Center in the Middle East. To date, the center has offered thousands of hours in clinical training, including courses in the following areas of study: nursing, paramedical professions, technology, management, research methods and more, in all branches of the health and medical industries. Whether they be rich in the implementation of the use of new technology or whether they deal with mental health; from using robots in surgery to offering sexual rehabilitation for trauma victims, our courses offer comprehensive and leading edge continuing education opportunities. Hundreds of doctors, nurses, paramedical teams and health administrators have gained valuable knowledge and clinical experience at Sheba, enabling them to use the insights they have gained to advance their own personal abilities and contribute to the medical centers in which they work. Hundreds of satisfied continuing education students have enjoyed learning and being challenged by our certified courses. The Sheba Medical Center boasts the world-leading simulation training lab which presents an important opportunity for both individuals and teams to train via additional channels in health care systems. The Center staff also includes interpreters and hospital employees, who aid students in achieving their full academic potential while overcoming cultural and language barriers for students from all over the world, including: Cyprus, Argentina, Russia, Ukraine, Georgia, Kazakhstan, Equatorial New Guinea and more. With the development of our experience and resources over time, the Center began to utilize the professional and administrative knowledge of Sheba staff in various consultation projects in countries all over the world. The clinical, managerial and administrative knowledge amassed at the Sheba Medical Center compares to none. Sheba Medical Center partners with various private and public organizations including: Municipal offices, the Ministry of Health, non-profit organizations, and private bodies throughout the world. Sheba Medical Center teams have implemented and continue to execute projects in the most professional manner, meticulously paying attention to detail while maintaining flexibility so that each client has his needs met with the utmost compatibility to the environment in which the projects are implemented, so that they may aid in bringing about fundamental changes to the health systems serving the citizens and residents of that country. If you wish to contact us, please do so in Hebrew, English or Russian, to the coordinator of the department for International Projects and Training Abroad.